All-Clad Casseroles are the perfect size for dumplings and thicker stews. 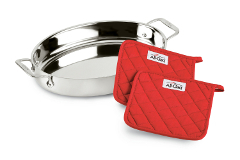 It cooks are presents well so you can go from the stove top to the table. They have large handles that will not get hot so you can pick it up without burning yourself. 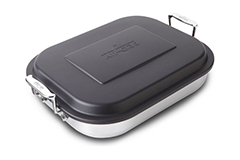 All-Clad casseroles are dishwasher safe and made in the USA.